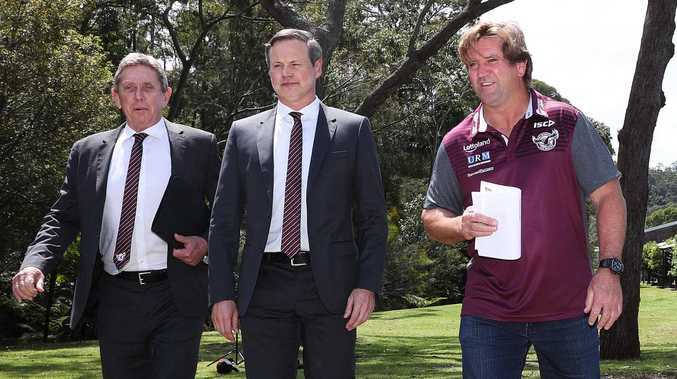 THERE is no escaping why Des Hasler was rehired as Manly coach - the club's owners are desperate to end a painful seven-year premiership drought. Sea Eagles chairman Scott Penn was forthright when asked why Hasler was signed - he wants grand final wins, he wants top-four finishes. 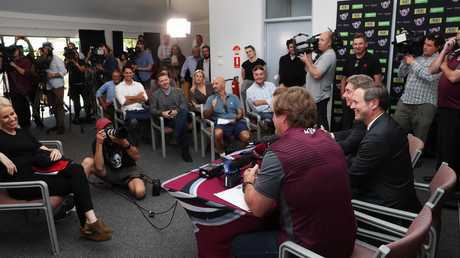 Hasler - who guided teams to five grand finals in eight years between 2007 and 2014 - was formally unveiled as Manly's head coach at a media conference inside the club's Narrabeen headquarters on Monday afternoon. "We want to be a top four contender in perpetuity and we want to win comps - that is why we are involved in this club," Penn said. 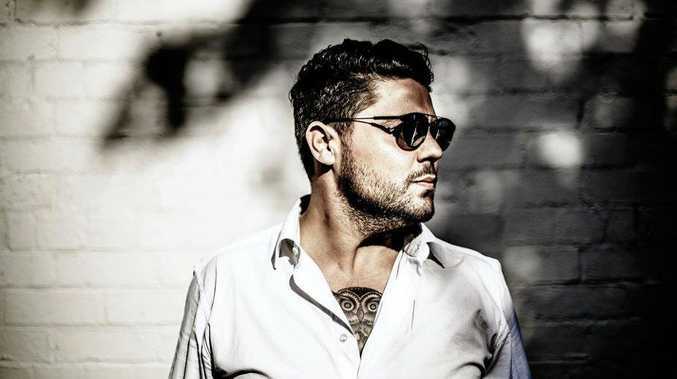 "We are pretty confident that Des can bring us back the success we need. "Des is absolutely a relentless character who will leave no stone unturned and will do everything he can to make sure we can turn it around as quickly as possible." Hasler appeared relaxed, refreshed and excited at Monday's press conference. But don't be fooled, Hasler has been hired for one reason - to win. 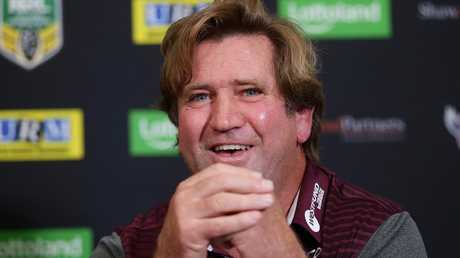 Asked were Manly capable of reaching the top four, Hasler said: "You'd like to think so. But you only have to look at their season this year, they had their fair share of injuries. But I'm excited about the football team. Ultimately it will be up to them. "It's always a great journey. You really don't know what lies ahead. Over the years when I have been coaching, you take things on board and you implement things. "The great thing about human beings is that you don't know what you're going to get. So it's about bringing the best out of people, both players and those that are working around you. "The club has such a rich heritage, they have such good past players, it's pretty exciting. You have to keep extracting the positive about the joint." Hasler will return to Manly after leaving Brookvale following the club's 2011 grand final win to join Canterbury. He hasn't coached for around 18 months. "It's just great to be back coaching in the NRL - I really missed coaching this year," Hasler said. "I'm looking forward to getting back into that day-to-day - I won't say grind - interaction and working with the players again. 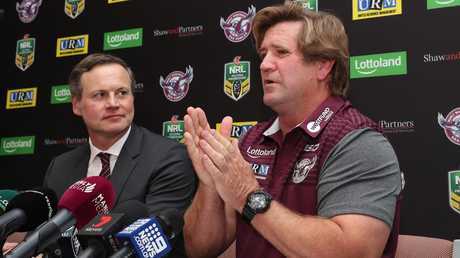 "The synergy (between Hasler and Manly) has been well documented over the years. I played the majority of my football here and have been around the coaching ranks for a long time as well. "It's been a big part of my professional sporting career. You learn in rugby league very soon that all things are possible." Hasler offered up a variety of reasons why success looms at Brookie. "Watching the games this year, they were certainly in among it. Certainly the roster is quite strong, they have a good blend, there's a good mix. They have rep players, the roster is not too bad," Hasler said. "There have obviously been some difficulties which I won't go into right now, there's no need to, but we can only do what you can do and we will overcome those things. We will remain pretty positive about it all." Penn said Manly fans at a club forum held a month ago urged owners to buy a coach with Sea Eagles DNA. "They were really firm that we have, ideally, a Manly man in charge," Penn said. "We have won eight premierships with a Manly man in charge, all eight."